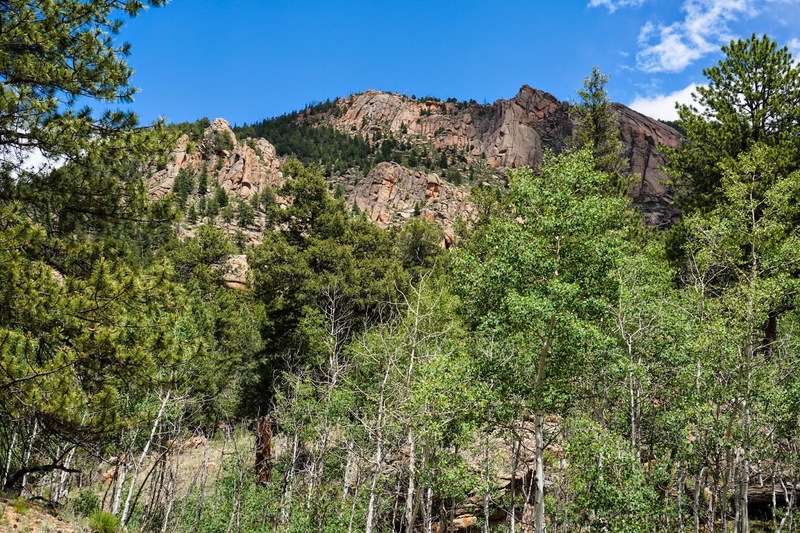 Directions: From 285 at Jefferson in South Park, take Tarryall Road (77) south for about 25 miles to the Spruce Grove Campground. 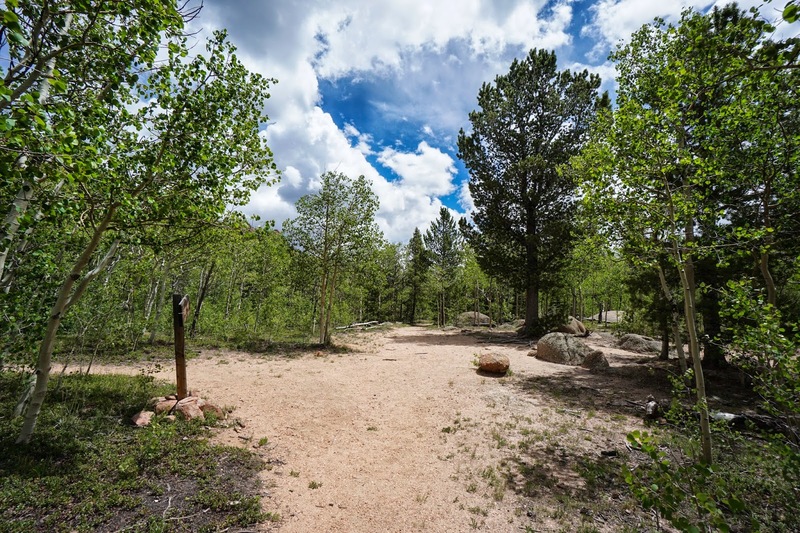 If you are not camping there, park at the area before the gate and walk down into the campground. 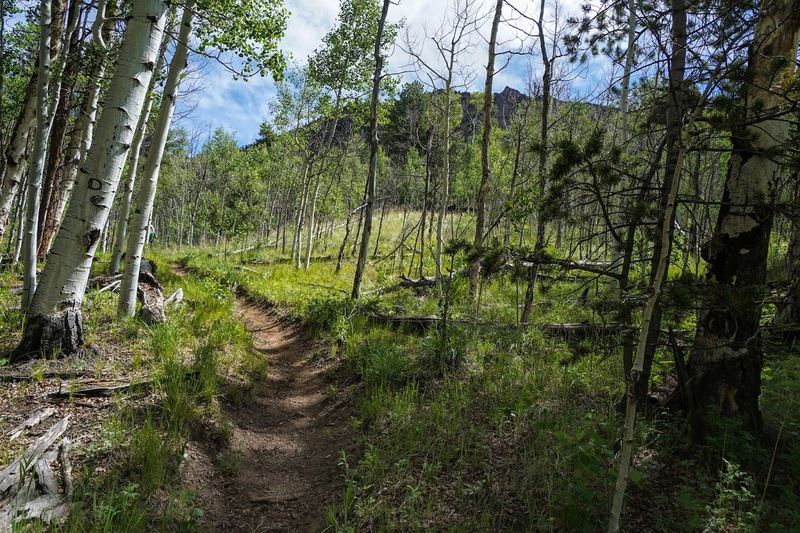 The trail head is to the left of the bathroom. 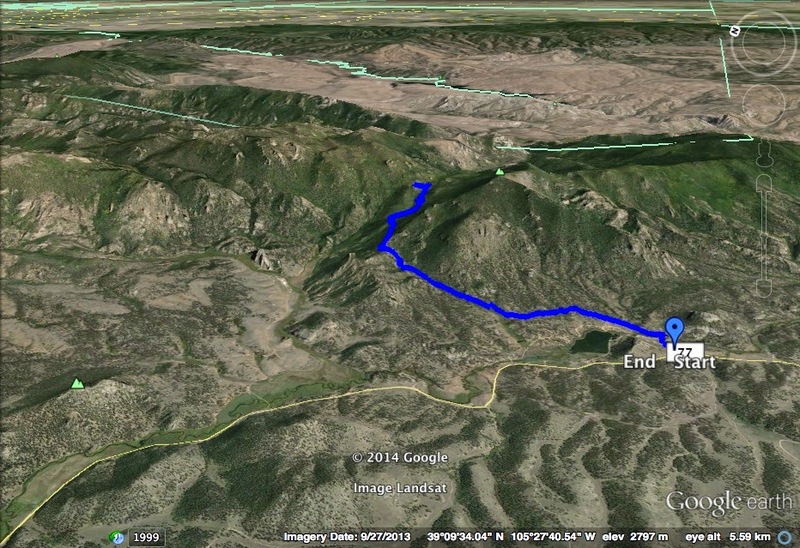 From Colorado Springs, head west on 24 to Lake George, and north on 77 to the Campground. 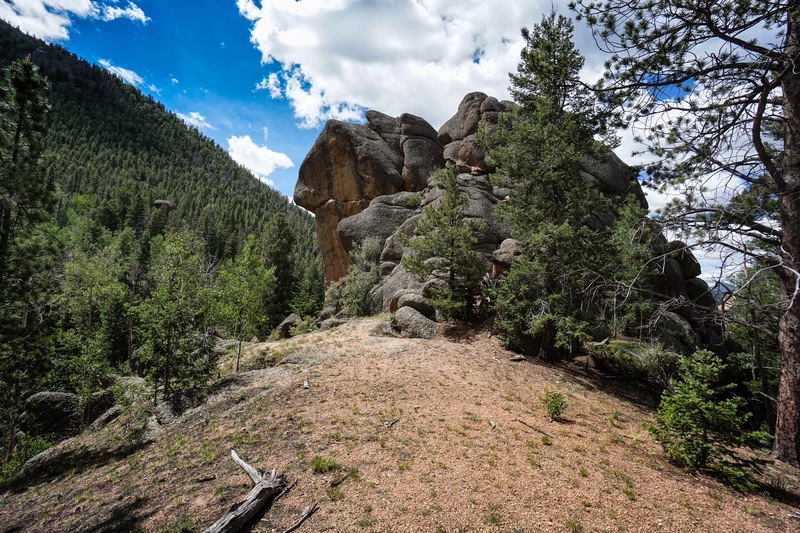 There are not many moderate day hikes in the Lost Creek Wilderness, to really appreciate the wilderness area, and actually see Lost Creek disappear into the rocks, you need to backpack. 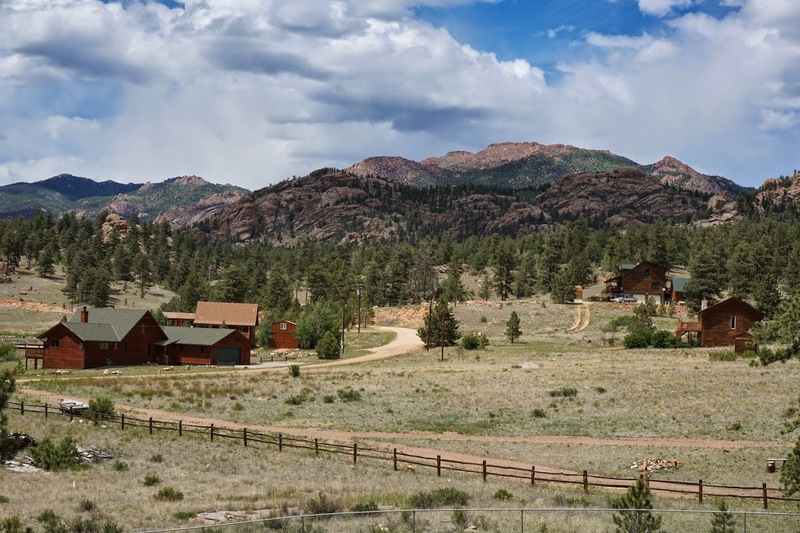 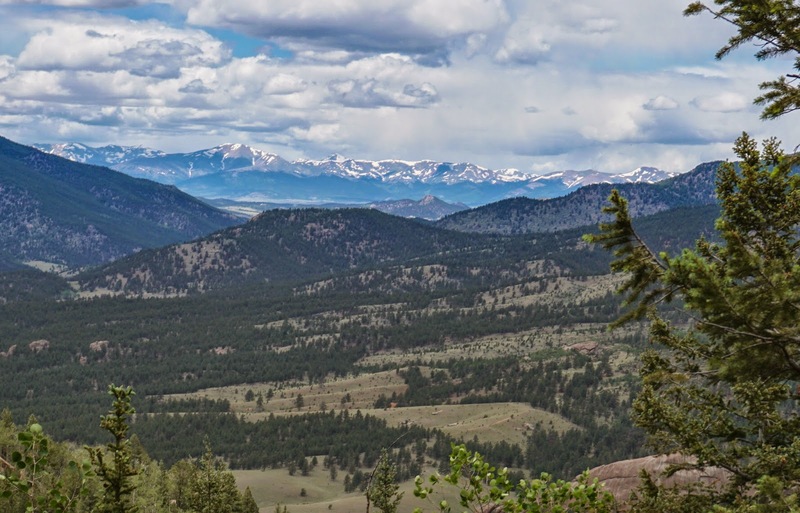 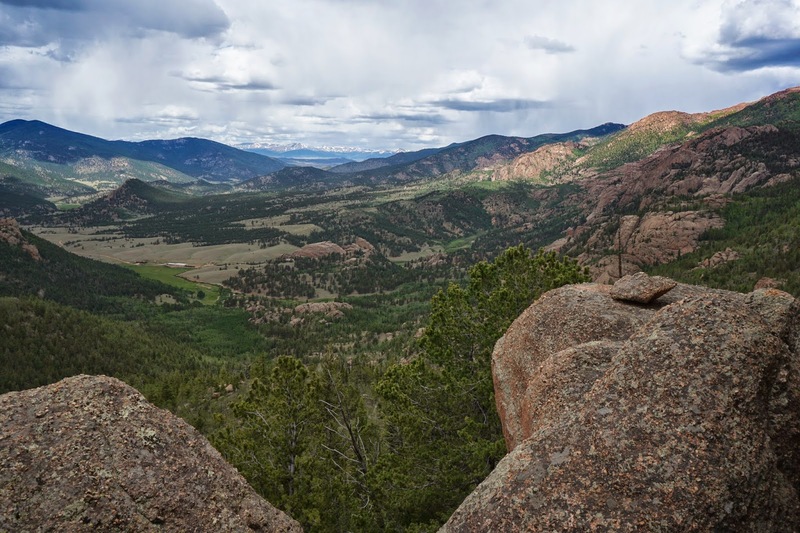 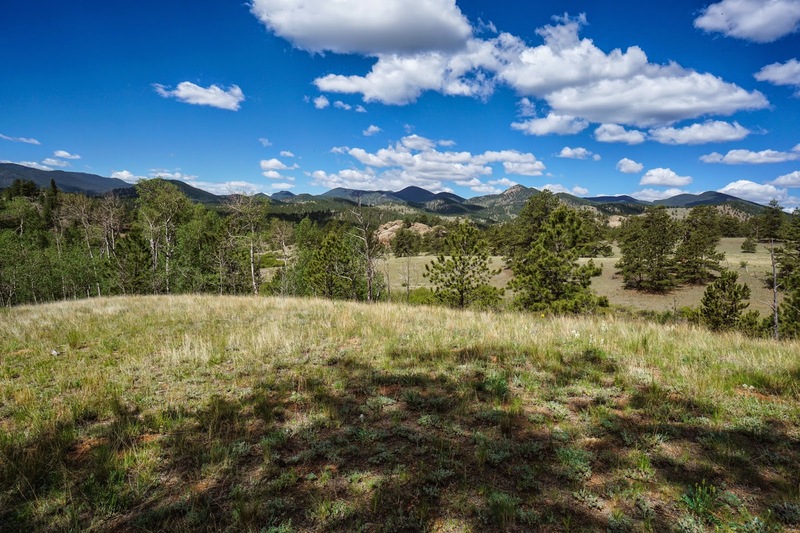 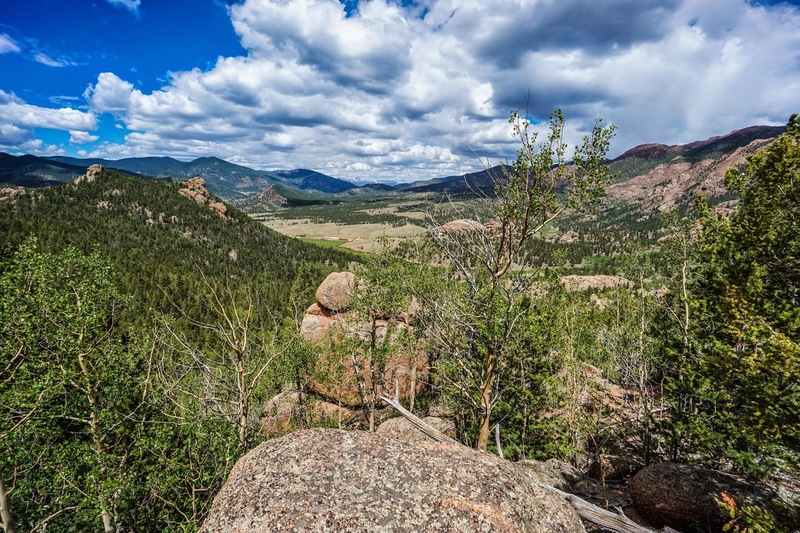 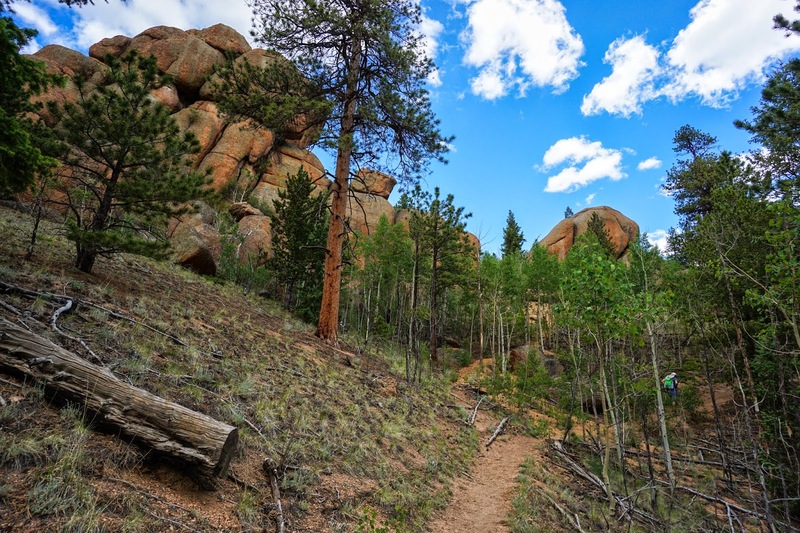 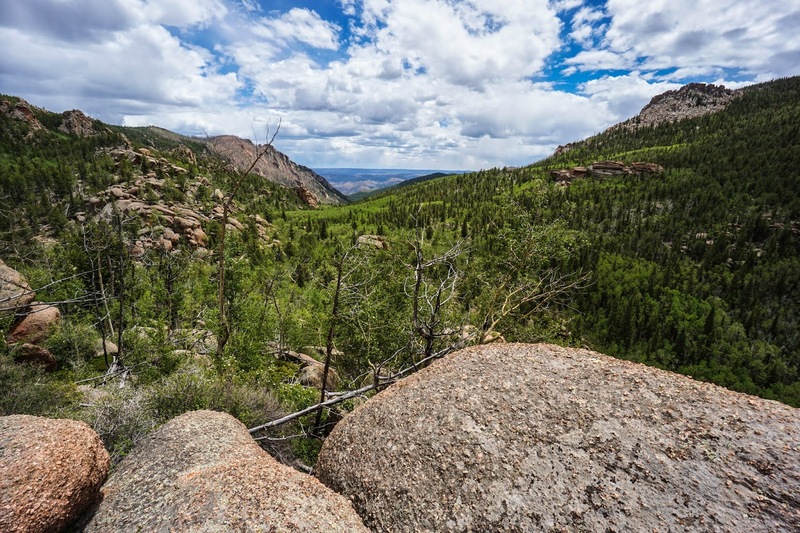 But there are some trails that give you an outside-looking-in view of the splendor of the Lost Creek Wilderness. 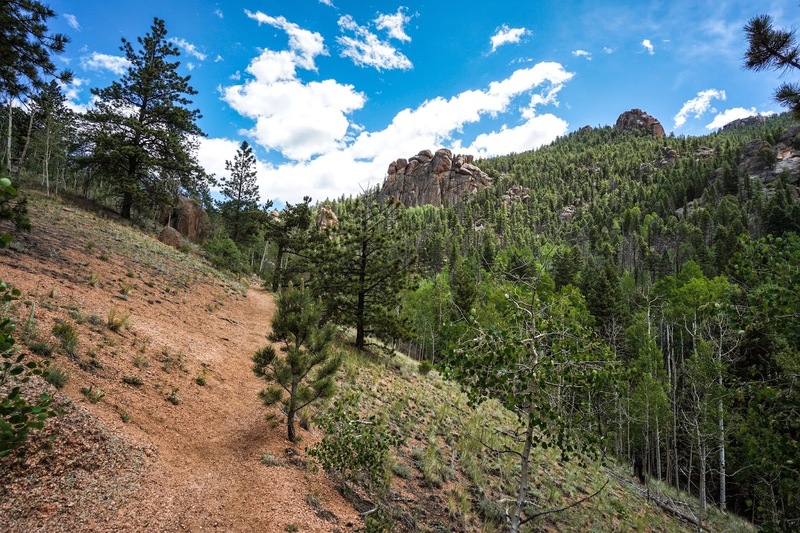 The most popular hike is the Goose Creek Trail from the east, but the hike up to Hankins Pass is another great day hike. 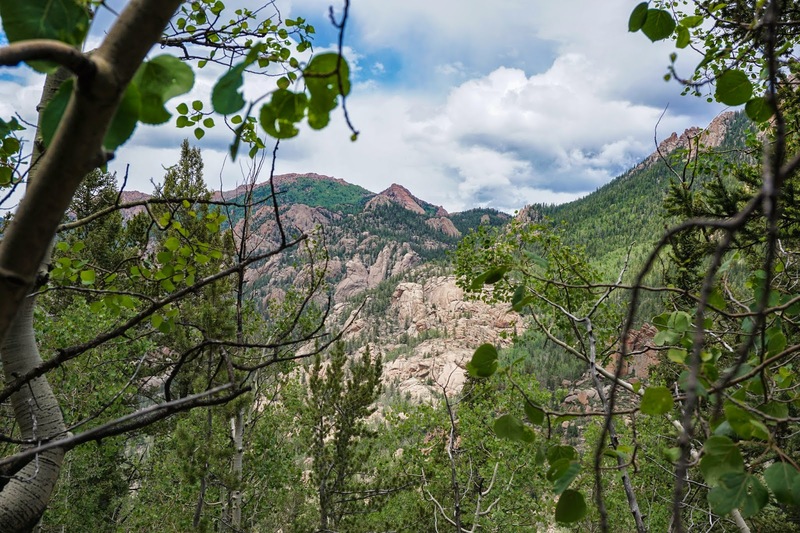 You can approach Hankins pass via the Hankins Pass Trail from the East at the Goose Creek Trailhead (10 miles roundtrip) or from the Lizard Rock Trail on the west side of the Tarryall Mountains. 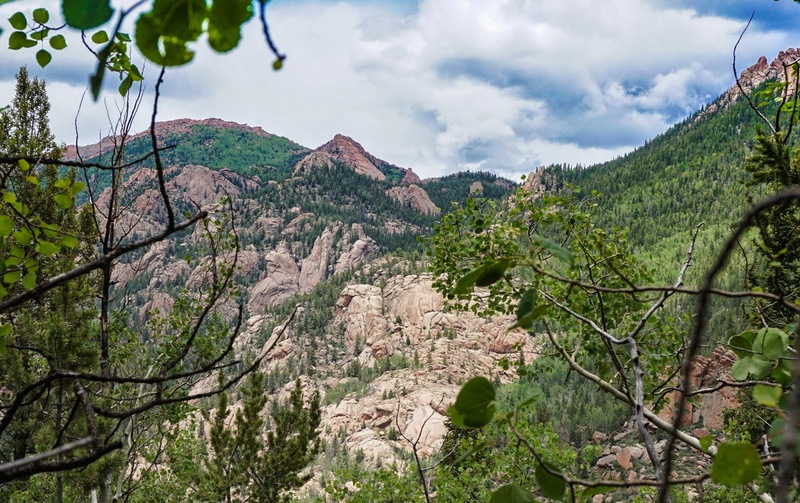 The Lizard Rock Trail, is a wonderful trail, it is a pleasure to hike as the grade is mild, the distance is just right and the views and scenery are top notch. 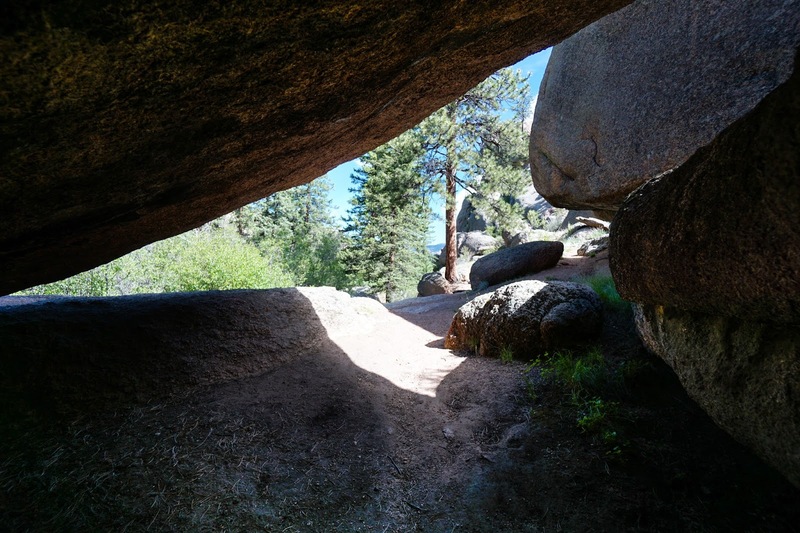 Start at the campground, cross the creek over the footbridge, and make your way through the short cave to the start of the trail. 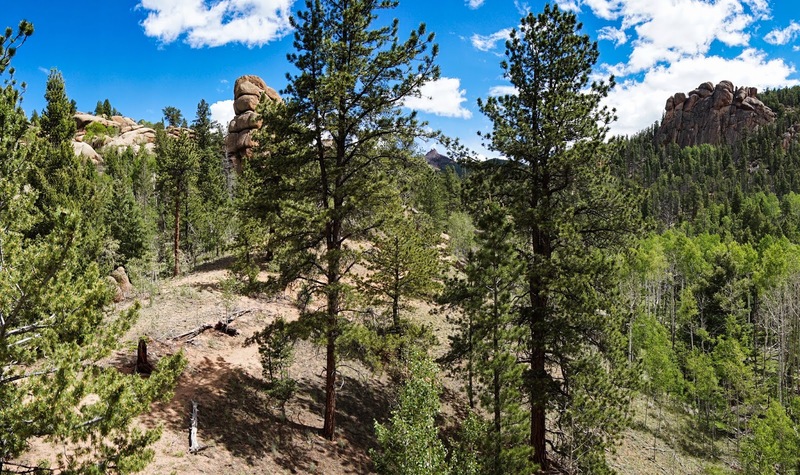 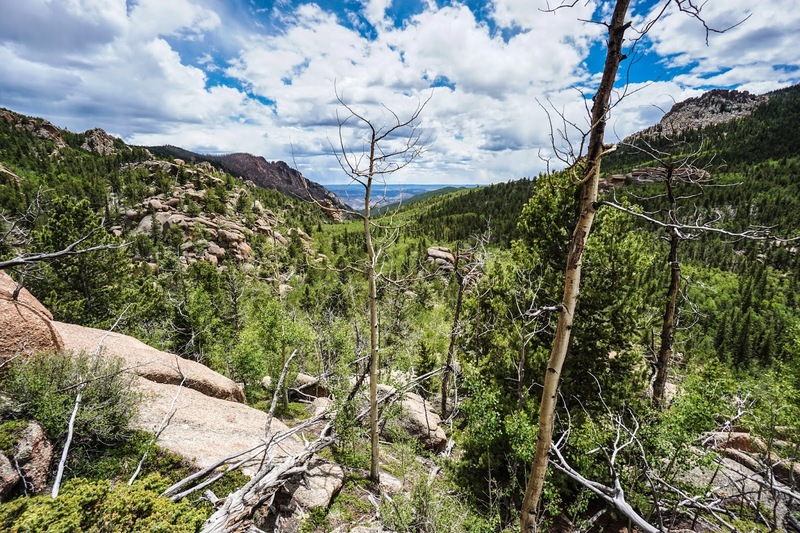 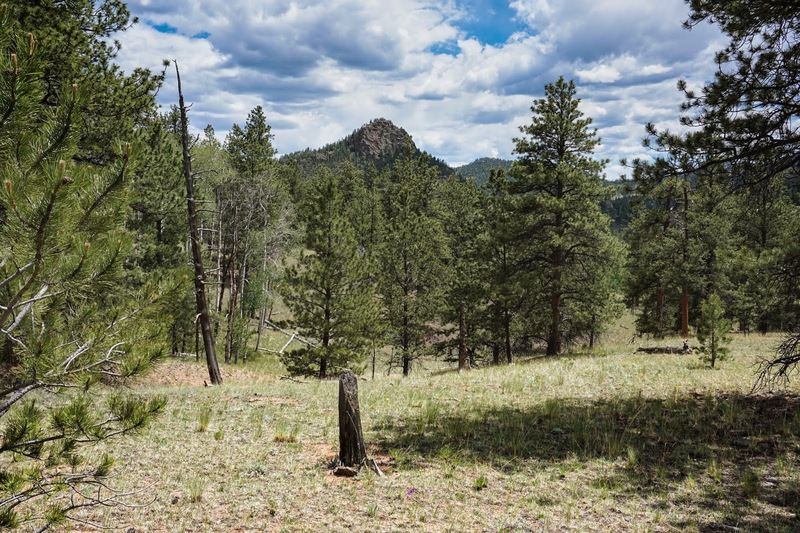 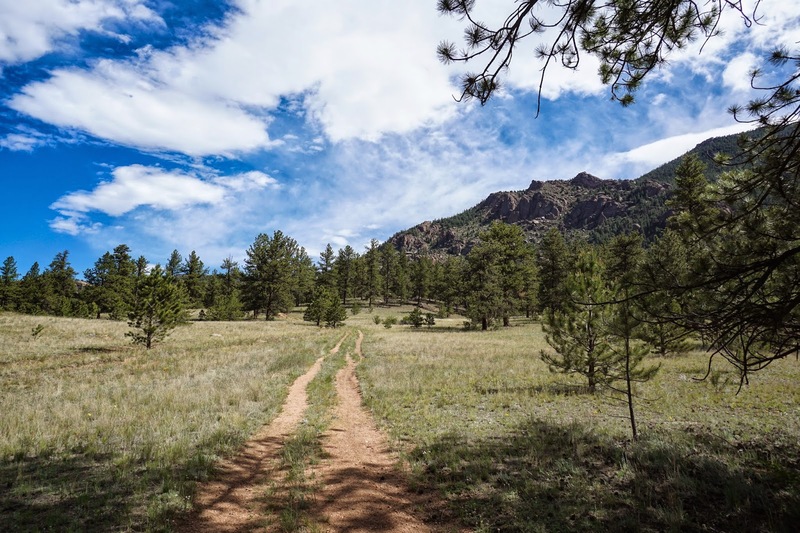 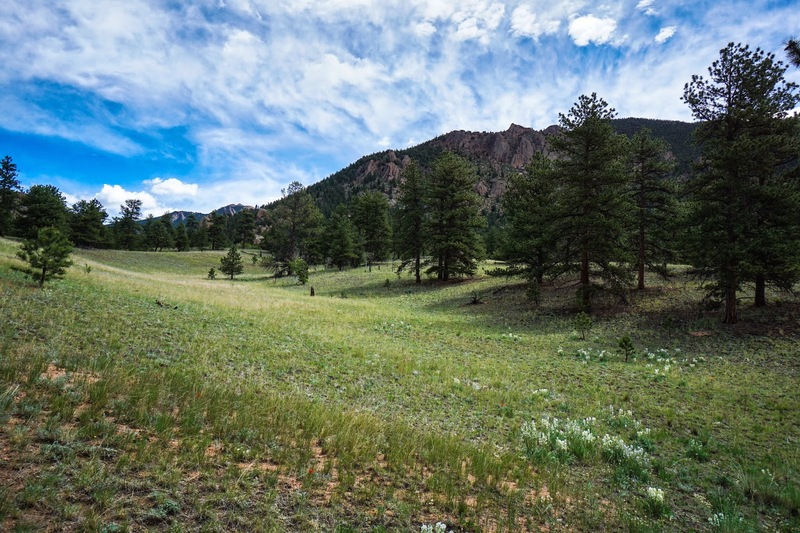 The first 2 miles of the hike follow the Lizard Rock Trail and it is a mix of open meadows, pine forest, aspen groves, and rock formations. 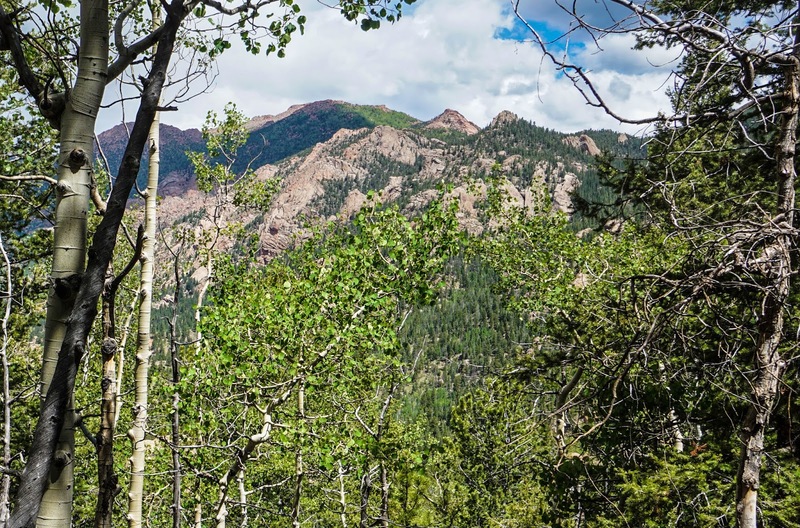 This hike was spectacular in the early summer, but I can't imagine how beautiful it must be in the fall, there are aspens for 80% of this hike. 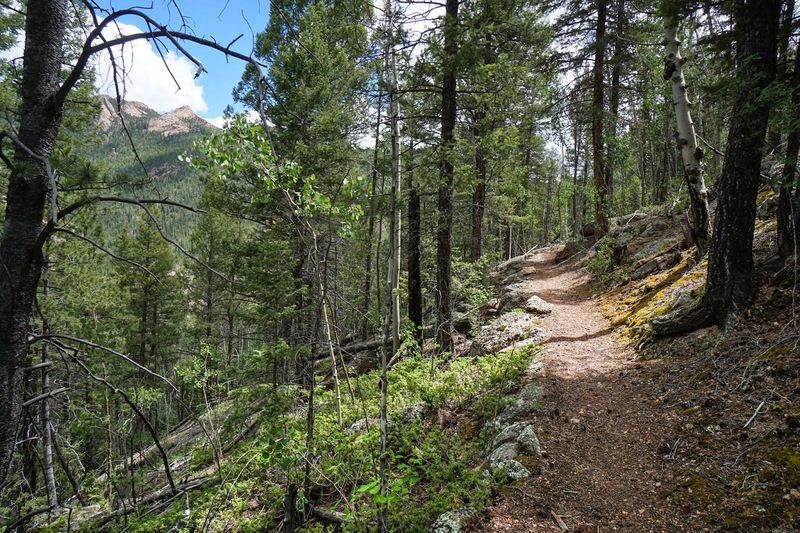 After 2 miles turn right at the junction (just after entering the wilderness area) onto the Hankins Pass Trail. 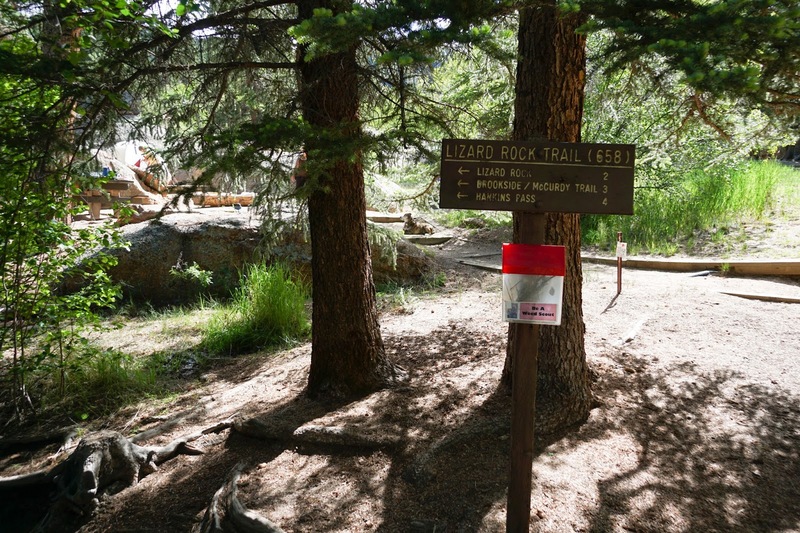 The signage could be better here, but you DO NOT want the numbered trail leading left and downhill, stay right and uphill. 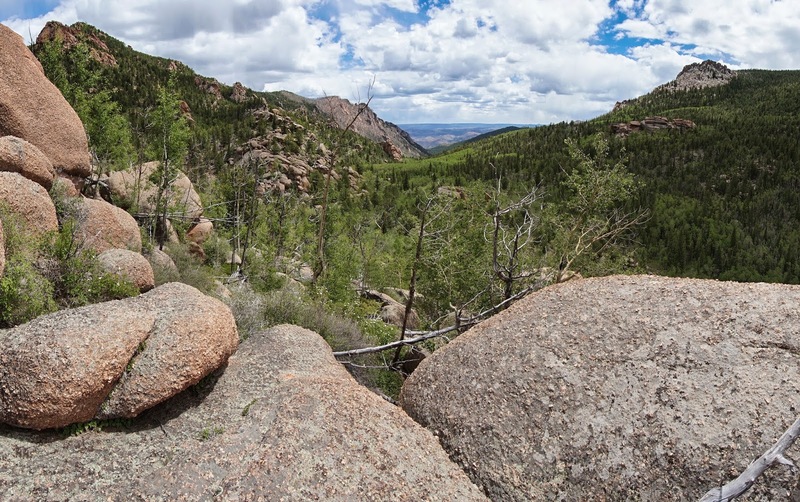 The next 1.5 miles of the Hankins Pass Trail is both amazing and frustrating. 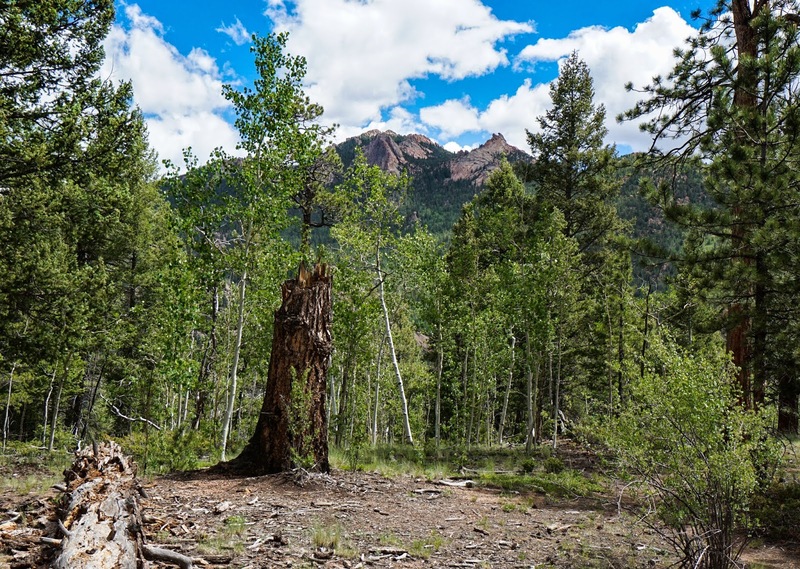 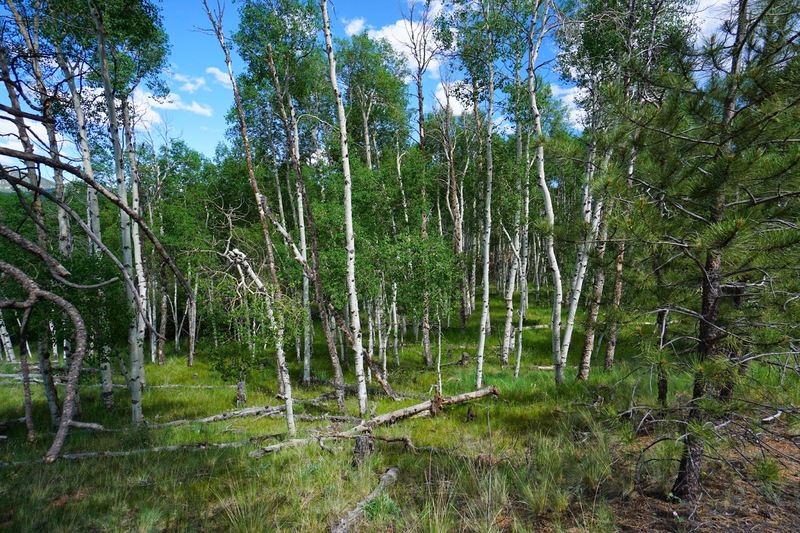 You get an amazing view of the Tarryall Ridgeline; McCurdy Peak, Bison Peak, Tarryall Peak, amazing rock formations, but it is all through pine and aspens...you'll be wishing for some clear cutting...just kidding... 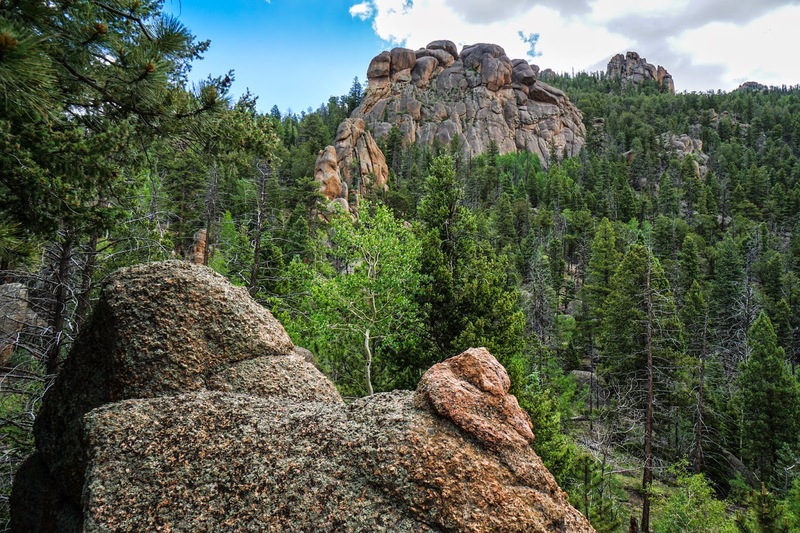 Along the way there are some boulders and outcroppings that you can climb for a better view, but the view through the trees is still enticing. 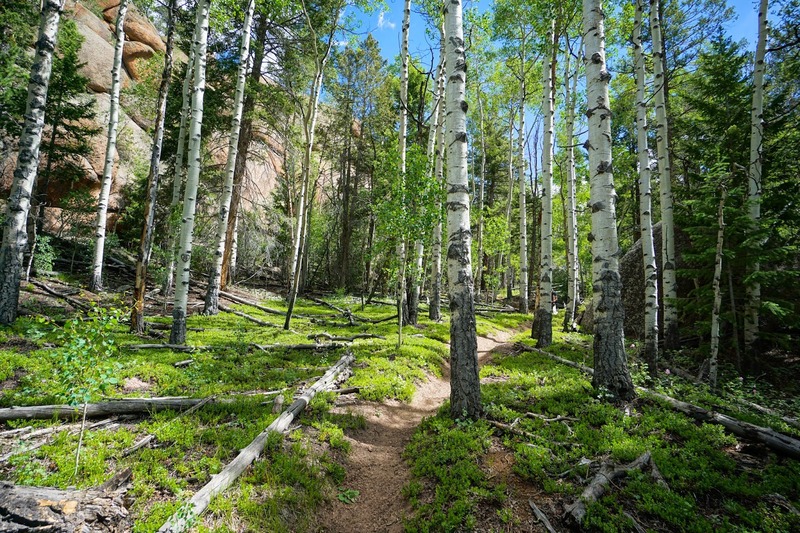 Once you start switchbacking through denser forest, you are almost at the pass. 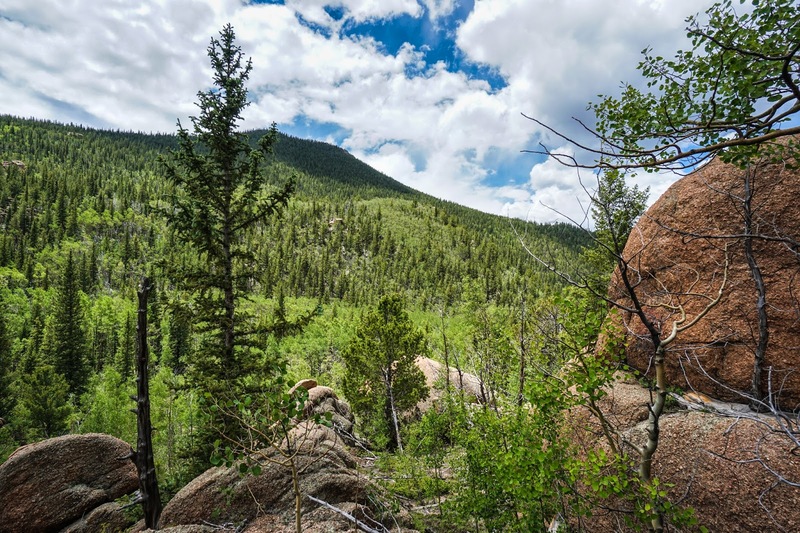 Hankins Pass is a very pleasant spot to stop and relax, but you'll need to do some bushwacking for the best views. 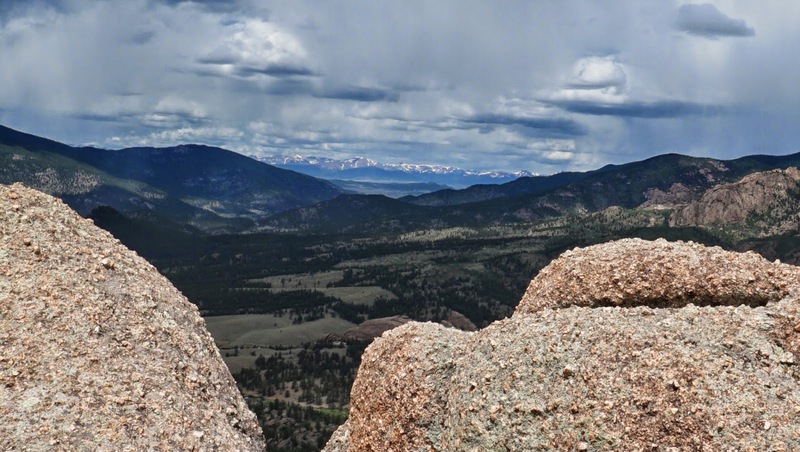 There is a rock pile/tower just to the north of the pass and this is your best option. 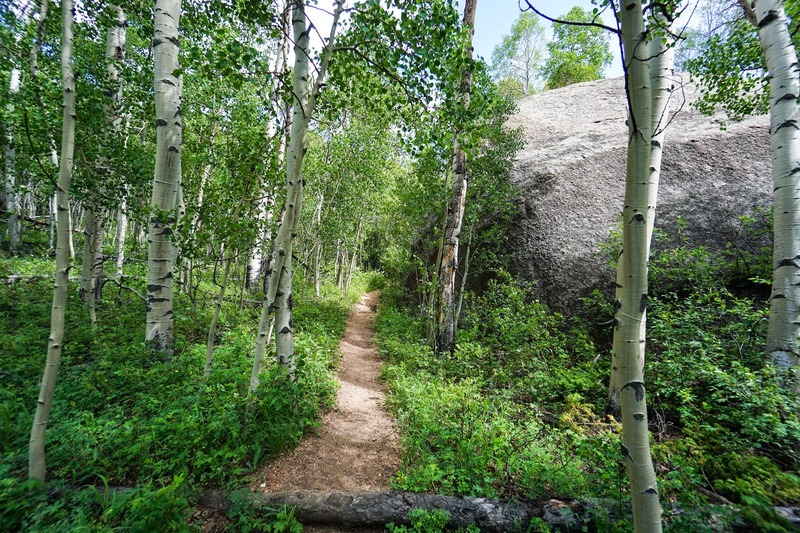 Be careful here as there is no trail and the rock is sharp. 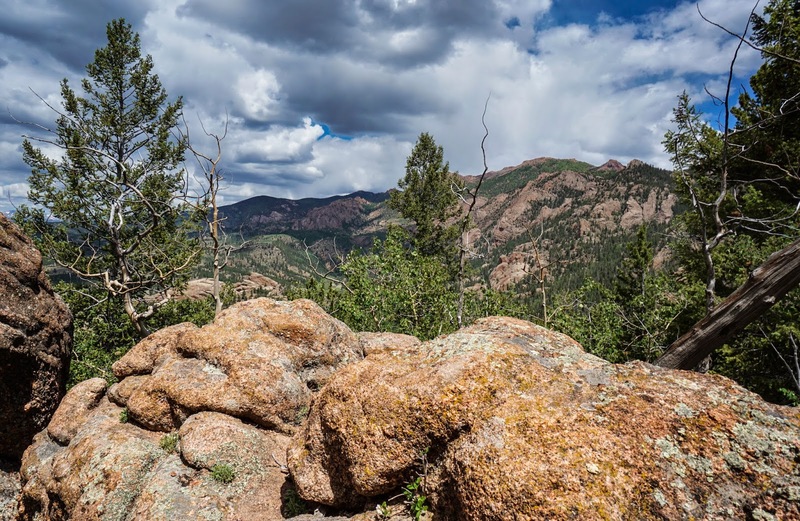 If you can make it up the boulders then you are rewarded with a tremendous view west to South Park and East to the Hayman Fire Burn Area, well worth the effort. 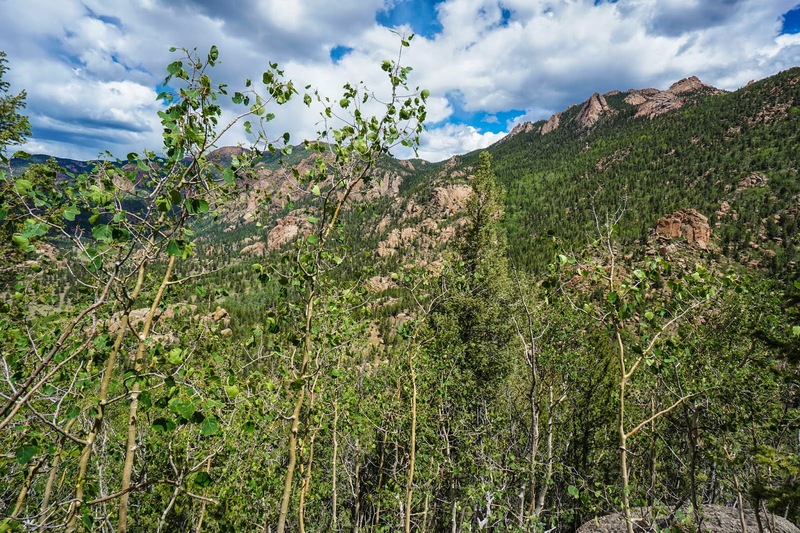 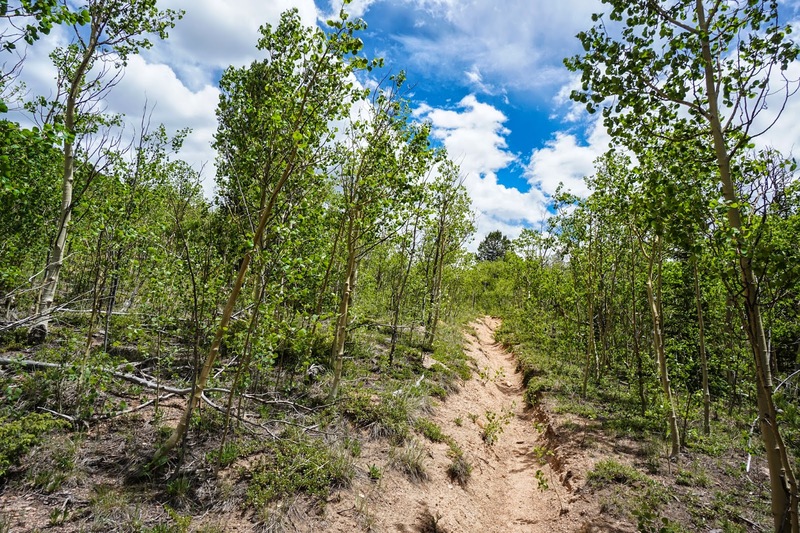 The way back follows the same trail or you can descend further into the heart of the Lost Creek Wilderness for a longer adventure, either way you won't be disappointed.